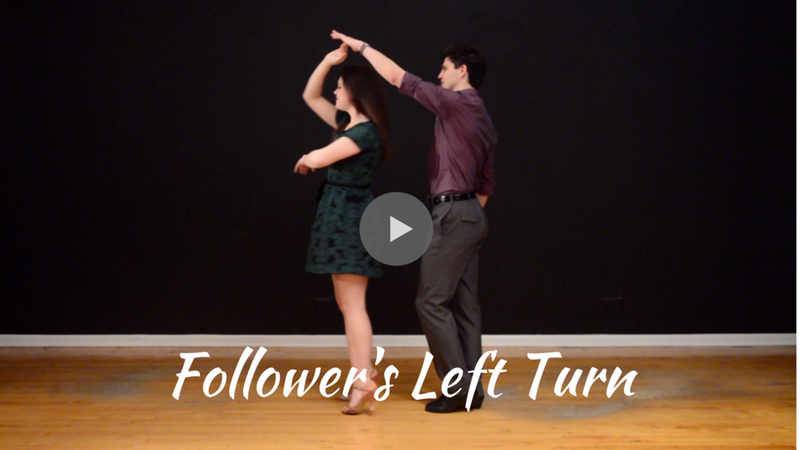 Another fun turn for the follower! Follower, look up during the turn. You may even "spot" your partner or look at the direction you going during the turn to make your turn look sharper and more exciting! Spotting will also help you maintain a good posture and avoid getting too dizzy! Follower, keep your free arm in front of your body during the turn will create a more polished look and help with your balance.